Here is a representation of the genesis block as it appeared in a comment in an old version of Bitcoin (line 1613). The first section defines exactly all of the variables necessary to recreate the block. The second section is the block in standard printblock format, which contains shortened versions of the data in the first section. This was probably intended as proof that the block was created on or after January 3, 2009, as well as a comment on the instability caused by fractional-reserve banking. Additionally, it suggests that Satoshi Nakamoto may have lived in the United Kingdom. This detail, "second bailout for banks" could also suggest that the fact a supposedly liberal and capitalist system, rescuing banks like that, was a problem for satoshi . . . the choosen topic could have a meaning about bitcoin s purpose . . . The first 50 BTC block reward went to address 1A1zP1eP5QGefi2DMPTfTL5SLmv7DivfNa, though this reward can't be spent due to a quirk in the way that the genesis block is expressed in the code. It is not known if this was done intentionally or accidentally. It is believed that other outputs sent to this address are spendable, but it is unknown if Satoshi Nakamoto has the private key for this particular address, if one existed at all. Although the average time between Bitcoin blocks is 10 minutes, the timestamp of the next block is a full 6 days after the genesis block. 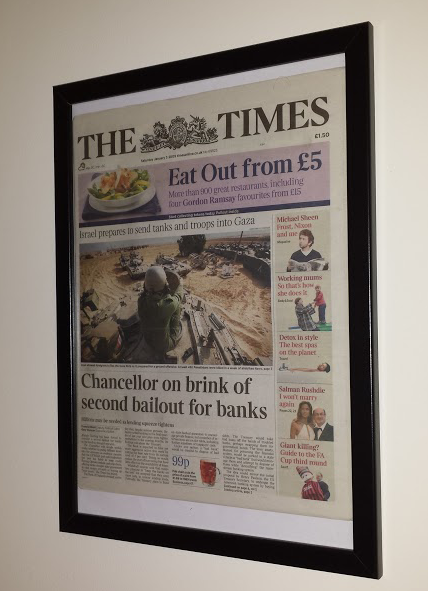 One interpretation is that Satoshi was working on bitcoin for some time beforehand and the The Times front page prompted him to release it to the public. He then mined the genesis block with a timestamp in the past to match the headline. It is also possible that, since the block's hash is so low, he may have spent 6 days mining it with the same timestamp before proceeding to block 1. The prenet hypothesis suggests that the genesis block was solved on January 3, but the software was tested by Satoshi Nakamoto using that genesis block until January 9, when all the test blocks were deleted and the genesis block was reused for the main network. 00000070   00 00 00 00 00 00 FF FF  FF FF 4D 04 FF FF 00 1D   ......ÿÿÿÿM.ÿÿ..
000000C0   6F 72 20 62 61 6E 6B 73  FF FF FF FF 01 00 F2 05   or banksÿÿÿÿ..ò. ↑ Davis, J. (2011). "The Crypto-Currency". The New Yorker. http://www.newyorker.com/magazine/2011/10/10/the-crypto-currency. This page was last edited on 30 November 2017, at 03:09.